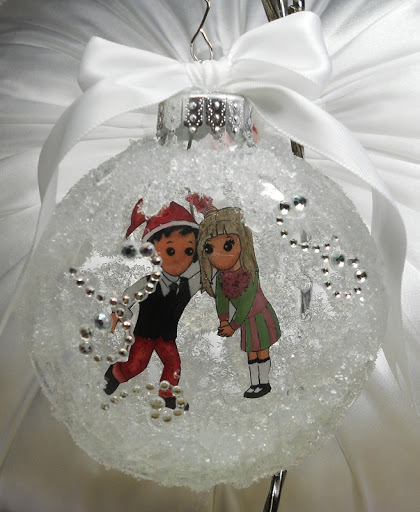 a fun and easy ornament I created. I’m not good at coloring and my daughter has lost most of my markers so I had to improvise with some gel & glitter pens but I think it turned out cute. 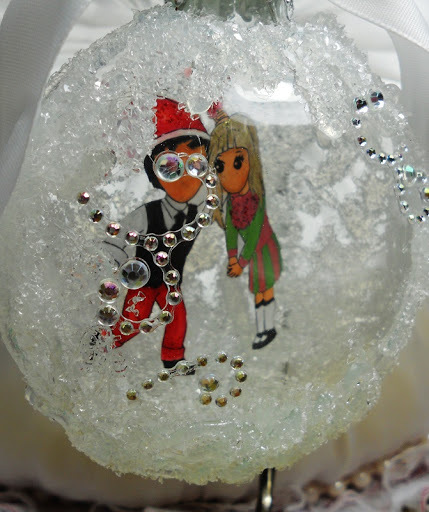 First I printed out the Mistletoe Sophie & Lucky digi at 2″x3″ then colored, cut it out, glue it to a wire, then curled the image so it would fit in the ornament. I also used some hot glue and diamond dust to create a frosty ice look. I just drizzled hot glue around the inside bottom, sides, and back, then heated the glue back up with my heat gun and poured the diamond dust in the ornament and shook a little. 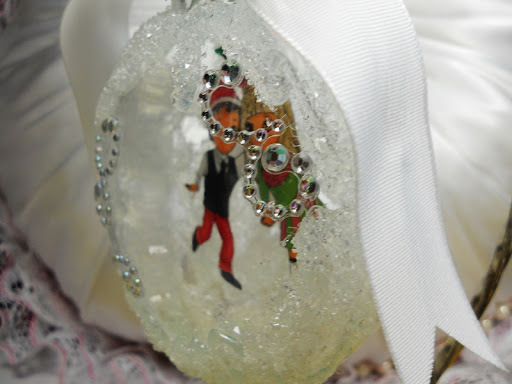 I added the hot glue and diamond dust around the front and sides of the ornament. 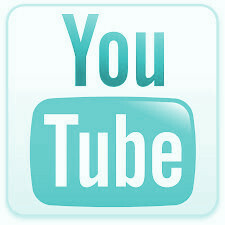 Please be careful with diamond dust it is made of real glass and should not be around children and animals!!! I finished it off with some bling swirls and a bow. I am gonna have to get some diamond dust. That ornament is gorgeous.